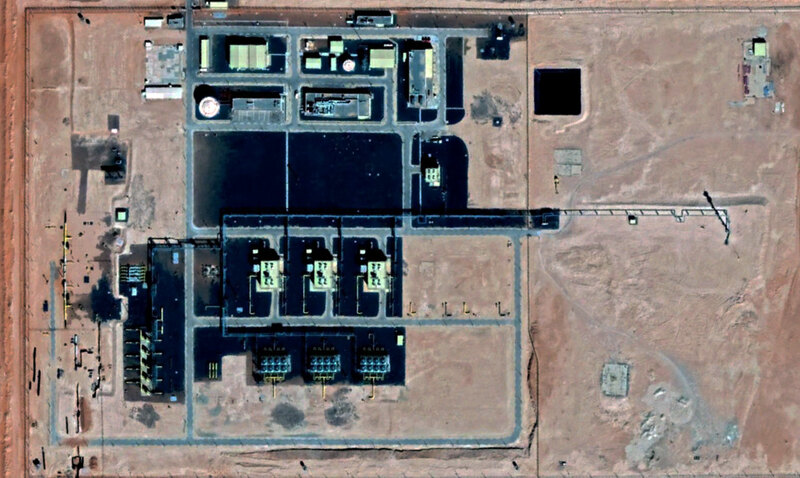 The GR5 is a new 48″ gas transmission system intended to collect the gas to be produced by 9 fields in the South West of Hassi R’Mel. The pipeline route crosses desertic areas, the Aoulet plain, Tademait Plateau, a vast sand dunes area ‘Grand Erg Occidental’, and then Hamada areas up to Hassi R’Mel. The GR5 transmission system includes a 760 km pipeline 48’’, one intermediary compression station, a final compression station and injection stations at tie-inpoints with branch transporting gas from the field CPFs. A 320 km 48’’ loop will be installed in phase 1 and will be further expanded in the final development phase. Each compression station is equipped with 3 x 28 MW ISO gas turbine centrifugal compressor sets. Acquisition and analysis of satellite imagery with different resolutions and bands. Conceptual design of the transmission system: design philosophies, evaluation of possible compression configuration, recommendations. Preparation of the documents for the application for construction permit.